At Fueltek we always ensure that our software and products meet every requirement, in order to offer you safe and cost effective solutions. Fueltek FS is a fuel storage tank that not only conforms to every legal requirement, but which can also be personalised according to your needs. Fueltek FS is manufactured in a rectangular shape in most popular sizes (whether measured in litres or gallons), but it can be manufactured to almost any colour, size or shape that fits your requirements. All of our Fueltek FS tanks have a 20 year manufacturer’s guarantee, and they conform to BS799, BS2594/prEN12285, and BS2654, while surpassing all recommendations in pollution regulations. 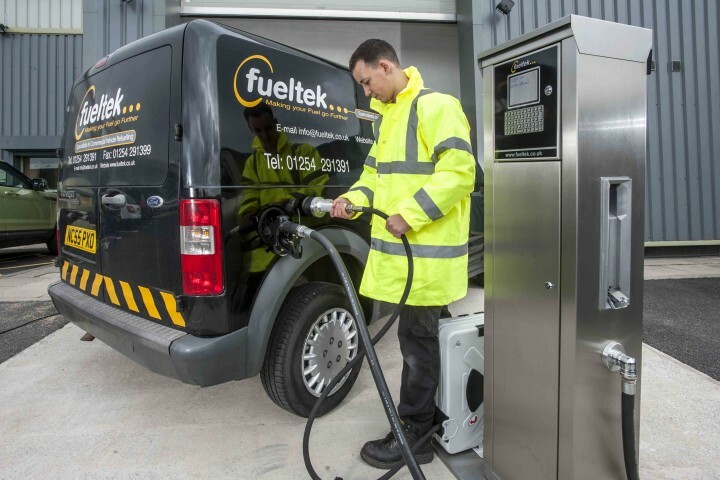 If you are looking for a secure and safe way to store your fuel on-site while saving on costs, Fueltek FS will provide you with personalised options for your site. Made of high grade mild steel, Fueltek FS is totally enclosed and fully bonded. The inner tank stores the fuel while the outer tank provides a water tight, completely enclosed bund that has 110% capacity of the inner tank’s contents. Fueltek FS also allows for both diesel and gas oil to be stored in the same unit through partitioned storage space. Our highly-skilled engineers will coordinate with you to provide you with a tank design that will offer you the best fuel tank solution according to your budget and your needs. With Fueltek FS, you will always be able to know your tanks’ fuel contents; you can easily measure them with Tankwatch. Tankwatch aids managers by delivering precise information on current stock, stock movements, available tank capacity (ullage), deliveries and throughputs that make it easy to assess problem areas. With the Tankwatch Fuel Monitoring System you are able to monitor fuel inside the tank with a series of probes, which are connected to a control panel mounted locally at the fuel tank. Through the control panel it’s possible to assist fuel delivery drivers to ensure a safe a secure delivery. If an alarm is triggered, Tankwatch indicates it audibly at the fuel tank or, if specified, you can be notified on any PC, email address, or mobile phone. It also gives an early warning in case the tank has a leak, especially with unaccountable reductions in fuel. Other fuel management systems are easily interfaced with Tankwatch to guarantee an accurate and thorough reporting and management tool. If you’re looking for a personalised tank storage solution with fuel management software, you can contact us on 01254 291391 to find out how we can help you. Our highly-skilled team will provide you with all the information you need on our fuel storage tanks. You can also find us on Facebook, Twitter, Google+, and LinkedIn to follow our news and updates.